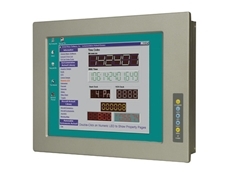 ICP Electronics Australia provides a range of highly reliable industrial computer products. This range includes SBCs, Rackmount Chassis and Enclosures, LCD Displays, Panel PCs, Workstations, PC/104 Modules, Power Supplies, DAQ Cards and Distributed I/O Modules. Contact ICP for all your industrial PC requirements. ICP Electronics Australia provides a Comprehensive Series of Remote I/O Modules for Industrial Monitoring and Control Applications.These remote I/O modules are highly flexible and compatible for every kind of application to reduce the inventory of different types of I/O modules. 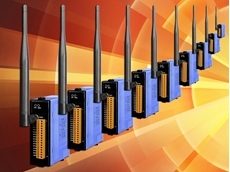 They are used in the set-up and maintenance of automation systems.Supported communications interface/protocols include: RS485 Modbus RTU & Modbus TCP DCON USB WiFi CAN & CANopen PROFIBUS PROFINET DeviceNET Ethernet EtherCAT FRnet Motionnet ZigBee BACnet HARTRS-485 I-7000 / M-7000 Remote I/O ModulesRemote I/O Modules provide cost effective protection and conditioning for a wide range of applications. 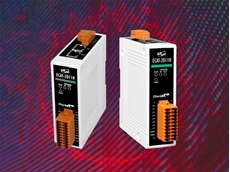 The product line includes digital and analog I/ORS232-to-RS422/485 conversionUSB-to-RS485, RS485 Repeater and HubRS232/422/485 to Fiber, Temperature and Strain PROFIBUSThere are many kinds of PROFIBUS Interface Converters and Gateways to other Industry Standard protocol devices and transmission mediaSlave I/O devicesInterface modules for Digital and Analog I/O ZigBee ModulesICP Electronics Australia offer a comprehensive range of ZigBee interface products that include Six Analog I/O ModulesSix Digital I/O ModulesFour Digital Pair-connection (Router) Modules, a Sniffer and a Repeater. Zigbee Converters for USB, Ethernet/RS485/232 (Host and Slave), and RS485/232 (Host and Slave)CAN / DeviceNET ProductsICP Electronics Australia has developed a comprehensive range of CAN / CANopen and DeviceNET productsPCI Interface CardsConvertersPACGatewaysCAN I/O SolutionsTools for CAN design, analysis and testing of CAN Bus / DeviceNet and CANopen applicationsFor all remote I/O needs for both set up and maintenance, ICP Electronics Australia have the ideal solution. IT Hardware and Industrial Computer EquipmentICP Electronics Australia offers a comprehensive range of industrial computer equipment and IT Hardware designed for rugged environments. 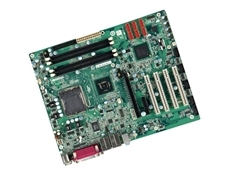 Their hardware range includes: Single board computers Panel PCs and workstations 19" Rackmount chassis and enclosures PC/104 modules LCD displays IDE flash disks Distributed I/O modules Embedded controller modules Data acquisition Control boards Power suppliesIndustrial Embedded Computers ApplicationsICP's industrial embedded computers and peripherals are designed for a range of harsh environments including Manufacturing CTI/Internet Communications DefenceIndustrial Computer Hardware Key BenefitsICP's range of Industrial computer hardware is highly reliable and available at a competitive price.Availability of Industrial Embedded Computers and HardwareEx stock items are delivered within 1-3 days (within Australia) and other items are available within 1-3 weeks. Once I've purchased a product, are you able to provide support? 28/06/12 - ICP Electronics Australia offer an in-house service, along with superior technical advice. Can you build servers to meet my company's needs? What industries do you supply to? 07/04/19 - ICP Electronics Australia introduces ICP DAS' new tZT-P4C4 wireless isolated digital I/O modules.The tZT-P4C4 provides four channels for digital input and four channels for digital output, each of which features photocoupler isolation. It supports sink-type output with protection against short-circuiting, and source-type input. All input channels can be used as 16-bit counters. 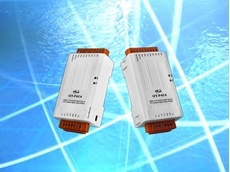 Further, there are options for configuring power-on and safe digital output values, with 4kV ESD protection and 3750 VDC intra-module isolation also provided.Combining low cost and the low power consumption of ZigBee modules, ICP DAS' tZT series products have the capability for wireless communication up to 300 metres (LOS) standard transmission distance. Coupled with tZT's dynamic mesh network, users can easily catch DIO data in difficult-to-wire environments.Key features of ICP DAS' new tZT-P4C4 digital I/O modules include ISM 2.4 GHz operating frequency; fully compliant with 2.4G IEEE 802.15.4/ZigBee 2007 Pro specifications; wireless transmission range up to 300m; adjustable RF transmission output power; GUI configuration software (Windows version); support for AES-128 encryption for wireless communication (passive); support for ZigBee repeater function; all digital input channels can be used as 16-bit counters; sink-type digital output channels with overload protection; surge and ESD protection; configurable power-on value and safe value settings; DIN-rail mountable; and support for RF channel 16-segment setting. 24/03/19 - ICP Electronics Australia introduces a new ECAT-2011H EtherCAT slave I/O module with isolated 16-CH/8-CH AI for use in robotics, automation, and systems control.A member of the ECAT-2000 series of modules, the ECAT-2011H comes equipped with the EtherCAT protocol and can be installed in daisy-chain connections, allowing flexible device installation and reducing infrastructure and operation costs. All ECAT-2000 modules can be deployed in network topologies such as star, line, or ring. 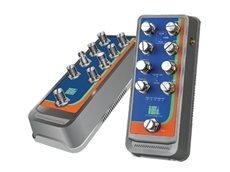 Further, the isolated input and output design of the ECAT-2000 series protects these modules from harmful interference and environmental disruptions.The ECAT-2011H has 8 isolated differential input channels or 16 single-ended input channels built in, which can be selected via software. Users can obtain the status of the input through the ECAT-2011H's process data. Finally, the ECAT-2011H has passed the EtherCAT conformance test tool for protocol compliance, ensuring an eligible EtherCAT master or configurator can operate it and implement various applications with ease. 27/02/19 - ICP Electronics Australia presents iEi Integration's new Mustang-V100-MX8 PCIe slot VPU card with OpenVINO toolkit designed to handle artificial intelligence deep learning inference while still retaining power efficiency and a compact form factor.The new Mustang-V100-MX8 computing accelerator card is half-height, half-length, and single-slot, resulting in a small-scale, condensed size perfect for space-conscious applications that require AI acceleration and machine vision.As a VPU PCIe, the Mustang-V100-MX8 can run artificial intelligence programs faster, and is well-suited for low power consumption applications such as surveillance, retail, and transportation. 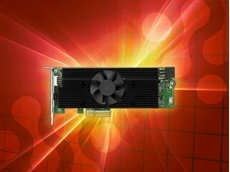 Offering both power efficiency and high performance to dedicate to DNN topologies, it is perfect for AI edge computing devices to reduce total power usage and provide longer duty time for rechargeable edge computing equipment.The Mustang-V100-MX8 computing accelerator card also supports Intel's OpenVINO toolkit for the optimisation of pre-trained deep-learning models such as Caffe, MXNET, and Tensorflow. Following optimisation, it can execute the inference engine across all kinds of Intel hardware. With its eight Intel Movidius Myriad X VPUs, the Mustang-V100-MX8 is capable of executing multiple topologies at once. 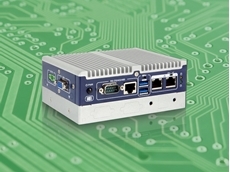 24/02/19 - ICP Electronics Australia announces the release of a new fanless embedded system for smart factory, industrial automation, and traffic control applications.iEi Integration's new ITG-100-AL is a fanless ultra-compact embedded system, equipped in its barebones form with standard I/O ports and supporting a wide-range operating temperature of -20°C to 60°C with air flow.The standard I/O ports can be expanded upon while still keeping the device's compact size with the ITG-100-AL's convenient ‘block layers’ feature. 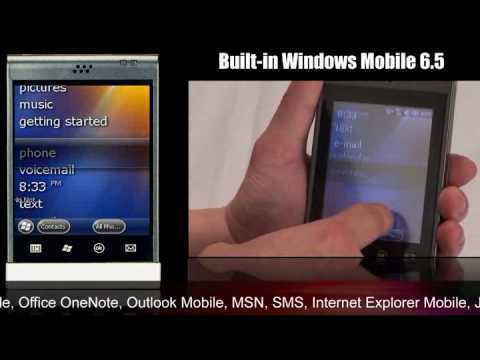 Additional layers with extra ports depending on the user's preferences can be added to expand the interface options and increase data storage space. These block layers include a choice of a 2.5” SATA HDD/SSD bay, a knockout-hole layer with selectable I/O interface, or both at once. Key features also include Intel Atom x5-E3930 1.3GHz (up to 1.8 GHz); 2x GbE LAN ports; and 2x RS-232/422/485. The compact ITG-100-AL embedded system further comes with a full-size PCIe Mini slot reserved for 3G/4G and a M.2 A-key slot reserved for Wi-Fi to provide easily accessible function expansion options.In today's industrial environment, space constraints are common for new embedded systems. The IGT-100-AL not only meets these limitations with palm-sized 137 x 102.8 x 36.2mm or 137 x 102.8 x 56.2mm dimensions, it also comes with enough basic I/O options to be applied to a variety of fields such as military applications, industrial automation, traffic control, and intelligent gateway usage in smart factories.